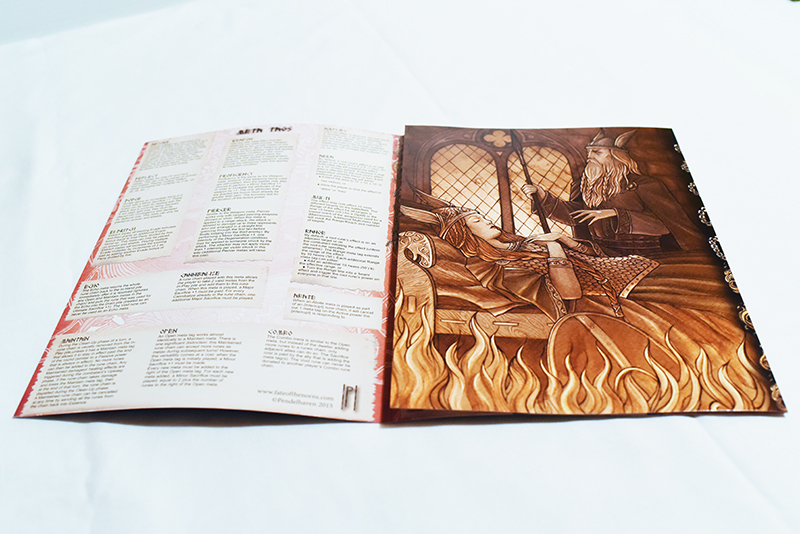 The Norn screen provides evocative artwork on one side, and a plethora of information on the other. Norns can lookup meta tags, conditions and magic systems at a single glance, eliminating the need to open a rule book. All frequently used rules are presented in an intuitive organized fashion.